Dr. Mani Sivasubramanian is a heart surgeon using his Internet marketing business to fund heart surgery for under-privileged children in India. I met Dr. Mani via Roger Carr who was one of the core group of bloggers who I enlisted for a "blogger's campaign" component. At 3:00 am this morning, when were in 5th place by a 30 donor margin, I asked him for help and he told me, "Beth we're going to win." He helped! On February 14th, in a worldwide event called “A DAY FOR HEARTS : Congenital Heart Defects Awareness Day”, he hopes to reach at least 500,000 people with the message of CHD awareness. I will help spread the word and hope you will too. In the meantime, he has published a guest post on ProBlogger called "10 Reasons for Bloggers To Get Involved with a Nonprofit." I agree with all his points. I reached out to a core group of nonprofit bloggers in the beginning of the campaign, asking them to commit to writing 1 post or 1 post per week - whatever they could manage. I set up a wiki that included lots of text and photos so they could remix as they wanted or not. I included a sign up sheet too. I also used to document links to their posts as we went along. As the campaign got closer to the finish, and more bloggers got involved, I also reached out to other bloggers. I found bloggers from other communities and created posts that might be relevant. For example, for Coolcat teacher blog, Vicky Davis, she wrote a post about the Sharing Foundation's computer school. I didn't plan out all the topics and posts in advance. I let a lot of it evolve from the community. In spite of starting on Twitter last week, I have few professional colleagues tweeting. I had to rely on email to spread the word about the campaign. And I noticed you did resort to that "old" technology too. Guess it won't be going away soon. Following you on Twitter the past 48 hours was a good introduction to how it all fits together. 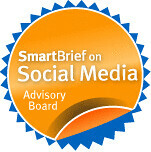 I've discovered your blog on Razwan's Rising Voices post (http://rising.globalvoicesonline.org/blog/2008/01/21/social-media-outreach-non-profits-are-the-key/) since then I NEVER start a day without checking your feeds and read all of your posts and the comments within. We share everything and are constantly developing ways to raise funds and awareness. And each post you publish on your blog makes our work more easier ! I've convinced my collegues to start a wiki so we can be more efficient and only use our blog for external communication (since 3 of us are in North America and many others in Madagascar, ICT and web 2.0 are our main engine!). Finally I want to thank you for your links which always lead me to more people of your kind and make us feel like we're not alone in this big big caring World. I am so glad that the final push helped out with the donations. It is like a traditional fundraising campaign, it's critical to get the masses talking about it and sharing. Outreach is critical and being active is amazingly effective, as seen by Beth's hard work. She made it easy for us to spread the word with text precreated and a wiki we could point to. Beth, I think what you've done could be a model for how nonprofits need to look at this new way of fundraising. Keep up the GREAT, work! @audrie tx. I got carried away on twitter and probably sent too many tweets. The last hour, I gave many updates as progress. While I couldn't stop myself, I was hoping I didn't overload people too much. About the concise bullet points, hope to get to that but first want to do a rich case study. Thank you very much for the interest Beth it would be an honor to our team ! Congratulations! I'm so proud of you! It is great that you are a finalist and that I was a small part of it. I think the challenge is in finding the worthy cause. Actually discerning the best causes that are accurate and not just someone looking for easy money. I wish there was an organization that could verify "causes" and give them a stamp of legitimacy. What are those organizations and what should people look for when considering to give? I hope that you'll consider posting this so I can share it with my readers. I think we all worry about being "duped."